Apple has refreshed its entire notebook lineup--including the MacBook, MacBook Pro, and MacBook Air--adding in expanded graphics capabilities, greater storage capacities, and, in some cases, faster CPUs. Al of the new models are available now, except for the MacBook Air, which will ship in November. On the higher end of the notebook spectrum, the new MacBook Pro lineup features models that sport two separate graphics chipsets: an Nvidia GeForce 9400M integrated graphics processor, which can be used to conserve battery life and reduce energy consumption, and an Nvidia GeForce 9600M GT discrete graphics processor. The integrated 9400M, which is also now standard on the 13-inch MacBooks (see below), offers 16 parallel processing cores. The discrete 9600M GT sports 32 processing cores and offers performance of 120 gigaFLOPS. Depending on configuration, the 9600M GT comes with either 256 MB or 512 MB of GDDR3 video memory. Specs for the 15.4-inch MacBook Pro base models are as follows. A new glass Multi-Touch trackpad and illuminated keyboard. Neither has a FireWire 400 port. Apple also notes that the new MacBook Pros, like the new MacBooks, use a new "unibody" design, with the enclosure built from a single piece of aluminum. With 15.4-inch MacBook Pro models, BTO options include a 2.8 GHz Intel Core 2 Duo processor, 320 GB 7,200 rpm hard drive (the base models being 5,400 RPM), and a 128 GB solid state drive. The 17-inch MacBook Pro ($2,799 retail) has also received an update. 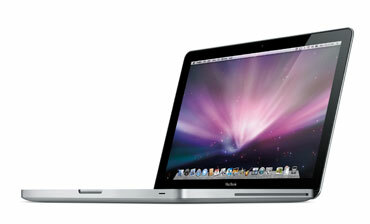 The 17-inch models now come standard with a 1,920 x 1,200 LED-backlit display and a 320 GB hard drive. The 13.3-inch entry-level MacBook line also receives an overhaul. The new models have been redesigned with an aluminum enclosure and improved graphics capabilities. The models come standard with the Nvidia GeForce 9400M integrated graphics system. As noted previously, the 9400M offers 16 parallel processing cores and, according to Apple, boast 3D performance five times greater than the line's previous (Intel) integrated graphics. The new glass Multi-Touch trackpad. Like the MacBook Pro, the MacBook line no longer offers a FireWire 400 port. The 1.6 GHz MacBook Air will sell for $1,799 retail. The 1.86 GHz MacBook Air will sell for $2,499. 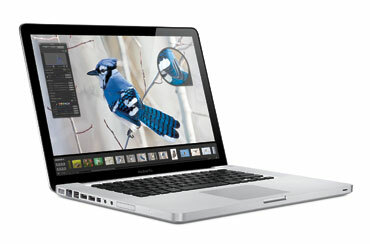 Further information about the new MacBook, MacBook Pro, and MacBook Air lines can be found here.